This report covers the first year of our three year term of office from 2010 - 2013. Next month (June 2011) is our 34th anniversary as a community council, having been formed in June 1977. David Kiltie, Mark Fletcher, Anne Walker, Gillian Durrant, Alex Kelly, William Grant, Margaret Boyd, Peter Mason, Marion McCreadie, Roy Birnie, Helen Whitefield, Jim Paterson, Peter Lynn, Gavin Hamilton, Senga Fergusson (Mason). Office bearers elected for 2010-11 were David Kiltie (chairman); Mark Fletcher (vice-chairman); Anne Walker, (secretary); and Gillian Durrant (treasurer). As the work of the community council has expanded, a draft structure layout was produced to make it easier to follow everything we are involved in. However, we have not yet agreed that the draft is final. We currently have one main committee - our General Purposes Committee. All community councillors make up this committee although not all attend. This is the committee where topics get more time to be discussed and to be developed. Most items work their way back through the main council and my report will cover most of them elsewhere. One that I will report on here is a proposal to create a Maybole Town Hall wi-fi hotspot as a means of addressing local needs as well as adding value and interest for visitors. Interest in this proposal comes from a concern that Maybole Town Hall may be falling behind other facilities in terms of modern facilities. The building is well used by the local community and is the centre of local community council activity, hosting public meetings, consultations and other important community events. It is visited regularly by overseas visitors as a landmark building with its own important heritage and prominence. The Jean Falconer Literary Award was organised again in conjunction with our local schools and has been held annually since 1988. It has now been agreed to change the format and we thank everyone who has been involved in any way since then, especially school staff and our various judges. It will now be a Citizenship Award and we are ordering one trophy for each school to award annually, which would be returned by the winners, and one medal per school per year which the winners would keep. We feel the award should be presented to pupils who have made a significant contribution to the wellbeing of their community or individuals within their community. The award should not be in recognition of academic achievement but should be focused very much on the notion of good citizenship. However, it will be for individual schools to decide on the recipients of the award. Carrick Crime Prevention Panel, Carrick Community Transport Group, the local Sports Association, the Community Association, Maybole Sick Nursing Association, Maybole Carnegie 21st Century Hall Committee, the Association of South Ayrshire Community Councils, Carrick Community Councils’ Forum. Thanks are due to all community councillors who put in extra work as part of all these groups. Project Committee - D Kiltie, M McCreadie, P Lynn, A Walker, S Fergusson, (G Hamilton). The projects committee has taken on the task of the re-vamped Jean Falconer Citizenship Award. 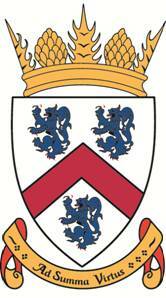 The committee has also been looking at memorabilia with the community council’s coat of arms printed or engraved on items and these will be ordered within the next few weeks. The committee arranged gifts for past community councillors as recognition for their time given to Maybole Community Council e.g. Jim McDermott and Billy Torbett. Later this month, Isabel Johnstone, Depute Head at Carrick Academy, is being presented with an engraved vase as a ‘thank you’ for her services to the school and town, and being involved in fostering closer working with the community council and other local groups. Over the coming year the committee is going to continue looking at other projects. Christmas Lights Committee – A Kelly, W Grant, J Paterson, G Hamilton. No report but the switch-on was organised for Friday 25th November, with a family disco afterwards. Our thanks go to all who helped with this. There was concern about aspects of the lights, although these have mainly been resolved and a meeting has been arranged with SAC officers on Wednesday 18th May at 10am. Town Regeneration – A Murray, M Fletcher, B Robertson, P Lynn, R Birnie. This group of community councillors, chaired by specialist co-opted member Alan Murray, is working with officials from South Ayrshire Council to take steps to improve the appearance of the town centre with special emphasis on the High Street. The first step in this process is to carry out a refresh of ground level properties on the High Street with the main funding coming from Carrick Futures, and work has now started on this. A second stage will be to tackle empty properties and planning is well in hand to have decorative vinyls depicting scenes from the Year of Homecoming and Robert Burns ‘Where It Began’ celebrations held in Maybole in 2007 and 2009. The group will continue to work to have something done to improve or remove the old Co-op Building in Whitehall as well as engaging with the local authority on issues such as parking and signage. Common Good – (maybe tie in with another committee). Bypass Committee - P Mason, H Whitefield, P Lynn, A Walker, W Grant, M Fletcher, Roy Birnie. Peter Mason chairs this group and reports that they have been working away in the back ground writing to our local MSPs, transport ministers etc. Last October, knowing that there was an election coming up in May they started to campaign yet again for a start date for a bypass for Maybole. They wrote to all political parties asking for a bypass to be part of their manifestos, to no avail. They planned the campaign to culminate in March with all political parties being invited to speak on the bypass situation as they saw it. A competition was run for young people to enter, asking them to design a logo for the campaign. This was won by Rory Galloway, and his logo "NO to Congestion – YES to By-Pass” was then printed on car stickers. Banners were also printed which will be at both entrances to the town just shortly. The web site www.maybolebypass.org was created as well as posters advertising the day of the coffee morning which would launch this campaign. As a committee, they felt that the day in itself went well, and were delighted when four members of the public joined the committee. These new members have brought fresh ideas to the table which will be followed up in the near future. Since the last committee meeting, there have been several incidents in the High Street. They highlight yet again the importance of the one pedestrian crossing on the A77 in Maybole, and the need for more signage to highlight the fact that there are pedestrian crossing lights there. They feel they must also highlight and bring to the attention of the police, Amey, and Transport Scotland the fact that lorries on the A77 are using High Street pavements as part of the A77. People are being hit by wing mirrors of lorries regularly, but not reporting the facts, also traffic is going through the pedestrian crossing when the lights are at red, and lorries driving on the pavements to pass each other. The committee feels that all of these facts must be reported to the police, and Peter would encourage all members of the public to report any incidents to the police or any member of the Bypass Committee. They also hope to video some incidents that are happening on the High Street and use the web site, YouTube, Facebook, and Twitter to raise the profile on just how bad the High Street is, but the public’s help is needed in reporting incidents. The DVD produced by Carrick Academy pupils is now on YouTube. The campaign has the support of every political party including the Green Party, but now the support of Ayr Chamber of Commerce, Visit Scotland, Road Haulage Association, Turnberry Hotel, Culzean Castle, Cairn Ryan terminal port, etc will be sought. 21st Hall Committee - D Kiltie, P Mason, A Kelly, A Walker. This committee has possibly now outlived its remit but has a considerable amount of funds in its accounts and an AGM is planned for this Thursday 5th May. I don’t have an up to date note of the accounts but presumably these will be made known at the AGM. Last September, Maybole twinners were hosts to visitors from Germany and France to celebrate the 10th anniversary of signing the official twinning agreement between Maybole and the German town of Schotten. A few weeks later, four Maybole twinners travelled to Italy to celebrate 10 years of a special friendship with the town of Arco which is situated at the top of Lake Garda. This year is the 30th anniversary of the first exploratory visit to Crosne in 1981. We wish the Town Twinning Association well in their visit for the Pentecost Carnival which will also see some members of Maybole Pipe Band make the trip. Next year is the official 30th anniversary of signing official documents with Crosne and the celebrations will be here in Maybole. Crime Prevention - A Kelly, H Whitefield, J Paterson. Sports Association - A Kelly, D Kiltie, P Lynn, G Hamilton. No report but gala day this year is Saturday 11th June. There has been no activity involving this committee but it will still accept applications for funding. Carrick Centre – D Kiltie was our representative on this group but felt he had to resign. Peter Lynn was invited to replace him but declined, as he was already a member, and Mark Fletcher was asked but after discussions decided not to go ahead. Association of South Ayrshire Community Councils – P Mason, D Kiltie, M Fletcher. We are active partners in the Association which is more of an information gathering group. It holds meetings every three months and it covers all community councils in South Ayrshire but in reality only about a third of them attend. This group meets with some high profile members of SAC and in the past few months the Leader of the council has attended and explained about the budget cuts that will affect every family in SAC and how he and the council will have to work in true partnership with community councils in the future. 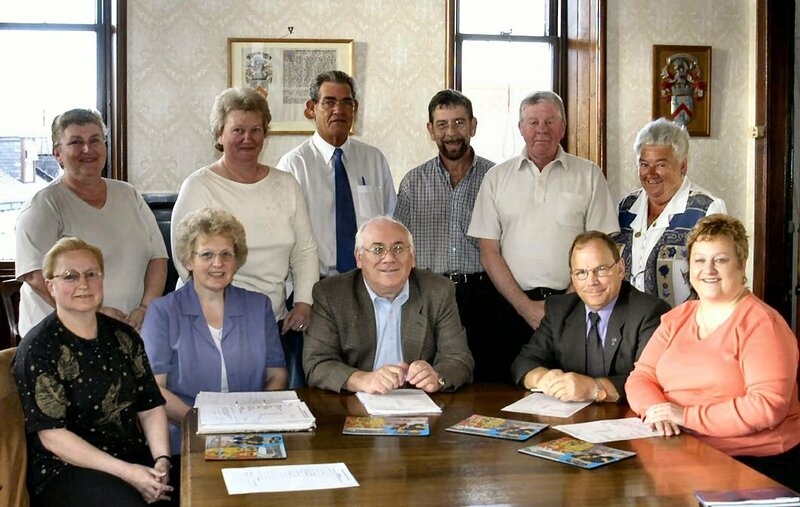 A special meeting of the Association of South Ayrshire Community Councils was held on Monday 14th June at 7.30pm in County Hall to discuss South Ayrshire Council’s priorities with senior councillors and officials. This discussion mainly focused on tourism which was considered to be an absolutely critical priority on which the future regeneration of much of South Ayrshire depends. The importance of accessing local knowledge through community councils was highlighted. A case was made for mapping exactly what we have in South Ayrshire by way of tourist resources. Also it was recognised that local communities can access funding which is not accessible to the local authority. The importance of partnership working was also recognised. This isn’t something that a community council or the local authority can do alone. A mix of partnerships would be required involving SPT, Scottish Enterprise, the tourist board etc. The scope for new initiatives to get bogged down in bureaucracy was recognised; as was the importance of positive marketing, communication, and the use of brown signage. Carrick Community Councils’ Forum has started to move on this and I will cover that later. The initial query was about what the overlap was between tackling SIMD deprivation areas and community engagement. It was noted that money had been poured into multiple deprivation over the decades and hadn’t made any material difference. Something different needs to be done. It was noted that with declining resources, there was scope for resentment to emerge if services were cut in order to allow funding to continue to be poured into deprived areas to make no material difference. The need for self help within the communities was recognised and the need for community planning to get to the heart of this was also highlighted. The problems are multi-faceted so the response needs to be multi-agency and move from talking about partnership working into real joined-up services on the ground. It was recognised that some issues are influenced by UK and Scottish Government policies but that wasn’t a reason to consider the problem too hard to tackle. It was also recognised that community councils know their areas better than anybody else, so a grass roots approach might also yield dividends as opposed to people at a distance deciding what is best for the community. The case for strengthening community councils was made but also ensuring that they do what they are supposed to. They are currently meant to consult but don’t do this on a consistent basis. Some are very active and do this and a lot more, but others vary. It was acknowledged that the case for community councils comes from them being successful. Some areas don’t have them but they are more likely to establish them if they see the role they have to play and the success of their work. The need to promote awareness of the community council was highlighted and the challenge of communication for small groups on a tight budget. The importance of healthy lifestyles was readily recognised. However, it was acknowledged that people know that eating too much, drinking too much, not exercising enough and smoking were all bad for them, yet many people still indulge in these. The importance of access to cost-effective facilities was highlighted and the challenges of this, given recent closures. The options for community-run facilities were highlighted and involving youth so that there was sufficient usage to justify keeping facilities open. The need for facilities not to be overpriced was emphasised particularly for the young, those not working, and the elderly. This led to a more general discussion in involving young people in community work and community councils. Practice varied across the community councils represented. The role of the police and community wardens was highlighted and the benefits of them coming to talk to the community councils. Not all present were aware of what community wardens did so there was some discussion around this point. It was recognised that they had a role to play in people feeling safe. There was some concern expressed about the new policing structures and the council was requested not to just see this as an issue for the police to deal with. There was discussion on the problems of dog fouling and Councillor Convery updated those present on how this was being tackled. It was acknowledged that adult provision was patchy throughout SAC with good provision in some areas but less well defined in others. The need for people, especially young school leavers, to have access to post-school learning was highlighted and had a key link to economic development. People need the skills to do the jobs of the future and that requires training. The meeting concluded with a discussion on the importance of that meeting being the start of an on-going dialogue and consideration of how this sits alongside proposals being developed for community engagement. This has been running for a number of years now and is going from strength to strength, with all eleven community councils in Carrick represented on the Forum which meets on the second Tuesday of every month. They discuss common problems in Carrick, have published a document planning the way forward for Carrick, and have published a book to give residents and tourists a better insight to Carrick. In South Carrick, wind farm companies have formed Carrick Futures whose board agreed to give 20% of their income to the wider community via CCCF. This year, just over £40,000 was available and next year the estimate is in excess of £120,000 to be awarded to local groups. At the moment the Forum is working on a tourism strategy for Carrick and has been awarded £3,000 from SAC’s rural affairs panel plus another £3,000 Ayrshire LEADER has granted. These funds are being used to create a database of all service providers for the tourism industry in the Carrick area. A first stage application has been made to LEADER for £184,000 to employ a tourism officer and to create a database of all the tourism attractions in the area; erect sculptures in each town and village, with a trail throughout the whole of Carrick which tourists can follow; set up tourist information points in each community; and produce pamphlets etc. to name but a few things. It is understood that SAC and a wind farm company are entering into a concordat to create training places for unemployed people. Peter Mason, as chair of CCCF, has written to SAC and the wind farm company saying that if any talks to do with training are taking place then the people of Carrick should have a place at the table as they are the ones who have to live with the wind farms. CCCF has also been approached by SAC with regard to a Community Engagement pilot. At its October meeting, members of the Community Planning Board agreed to the general principle of adopting an annual calendar of community engagement events linked into the annual community conference held in October. It was decided that two pilots should be undertaken; one in a rural community and one in an urban community. The results of these pilots would then be reported back to both the Council and the Community Planning Board and more consideration on future arrangements agreed in the light of the experience gained. Work on the pilots has been progressed and it is intended that the rural pilot will take place in the Carrick area with the urban one being centred on Troon. The first part will be an informal drop in session in the afternoon during which the Council and partners will provide information on services and activities in the communities. This will afford the community an opportunity to engage with officers across the partnership on the work being carried out and also for initiatives and activities within the community to be highlighted. The second part of the event will be a more formal evening session during which partners and the council will meet with a wide range of community representatives. The agenda for the evening session will be jointly agreed and reflect those issues the community wishes to raise together with those from the council and partners. It is envisaged that the first event will be held in Troon in May/June with the follow-up one six months later. Preliminary discussions on the Carrick area event have taken place with representatives from the Carrick Community Councils’ Forum (CCCF) who have asked to be involved in the process. As a result, it is envisaged that the first community engagement event in the Carrick area will be preceded by a wider engagement process carried out by the CCCF. The purpose of the wider engagement is to confirm the views of people in the Carrick area about what the issues are that they would want to discuss with the Community Planning Partnership. It is intended that this consultation would build on work already completed in a number of communities in the Carrick area and would involve a thorough process of local engagement. Although there is no similar co-ordinating body for the Troon area, it is anticipated that contact with community groups will be more direct. The advantages and disadvantages of this difference in approach will help inform how community engagement is taken forward after the pilots are evaluated. The first stage of the castle project has been completed with the consultants having presented their report. Talks are planned with Historic Scotland and other funders and without their support the project may have to finish. Members of the Trust, which we are represented on, feel that the town’s iconic castle cannot be allowed to deteriorate any further. The Trust wants to keep the castle in its rightful place at the very heart of the community of Maybole. Recent additions to the Trust membership will bring expertise and strengthen the committee in their own way. One of the most important things that has happened is an approach to the Marquess of Ailsa asking for permission to market the castle as the last Castle of the Kennedys in an attempt to attract funding from abroad. Over the past few years, May-Tag Ltd has evolved into being the lead body in partnerships with a number of local organisations. Typical were the Pathfinder project and the St Andrew’s Night project. These projects were part-financed by the Scottish Government and the European Community Ayrshire LEADER 2007-2013 Programme. The St Andrew’s Night was organised in partnership with all four local schools and was held on 30th November, 2010. There has been a delay in preparing a booklet but this is in hand and should be completed by Carrick Academy pupils next month. Over 100 artistes took part, including pupils from Cairn, Carrick, Gardenrose and St Cuthbert’s. They put together a “whole community” event which everyone who attended thoroughly enjoyed. Maybole Town Hall was filled to capacity, top of the bill were The MacDonald Bros and also taking part were Ayrshire Fiddle Orchestra, Maybole Pipe Band, South Ayrshire Schools Pipe Band, South Ayrshire Percussion Ensemble, and Hugh and Friends – a real mix of young and old in an event which provided a full range of singing, dancing and comedy with professionals and amateurs as well as established and new talent. Fr Philip Kitchen had only been in Maybole for a few months and he commented that the concert “was a wonderful example of people realising their potential for good. Everyone gave of their best in what was a community-centred focus and effort. There was joy and humour and fellow feeling. What better way to celebrate the feast of our patron saint? It is encouraging that a relative newcomer to the town commented that, to him, Maybole has a “great gift of building community” with this event highlighting that. Mrs Isabel Johnstone, senior depute head at Carrick Academy said, “The three local primary schools participated with Carrick Academy in the St Andrew's Night Concert to the delight and pride of families, friends and the community. Their confidence and enthusiasm were infectious and their manner of delivery, whether through dance, song, instrumental performance or acting was both entertaining and highly effective. “And behind the scenes, pupils and staff had worked together to produce posters and tickets, a group of senior boys set up and took total charge of the sound system while a couple of others worked alongside the adults to learn how to operate the lighting system. Pupils acted as programme sellers, guides in the hall and assisted the Parent Council with preparations for the raffle and hospitality. Some of the secondary pupils 'mentored' the younger ones behind stage, building positive relationships for the future. “As before, our community groups were well represented throughout on stage and for me there was a heart-stopping moment in the finalé when the MacDonald Brothers sang with all the performers, aged from 7 to 70+ to an absolutely packed hall. The Maybole Pathfinder project is new, it’s exciting and it’s innovative. There’s lots of talk from politicians and in the media about giving communities power to run facilities. The Maybole Pathfinder project is about turning that into a reality. A newsletter is being produced to update the community on progress with the project and asks some questions about issues going forward. We would like as many people as possible to take the time to read this newsletter and complete the short enclosed questionnaire. We want everybody to help shape the future of Maybole’s community facilities. A stage 1 feasibility and consultation study was undertaken. This centred on what would be required from the community and the local authority to support the transfer of management and assets from the Council to community ownership. 2. to provide a basis for agreement on a new model of community partnership between the people of Maybole and South Ayrshire Council. Full copies of the stage 1 report and the detailed recommendations can be accessed at www.maybole.org. The main strategic recommendation was that a Stage 2 business case and due diligence study should be carried out taking into account the findings and recommendations of the Stage 1 feasibility study. Stage 1 of the study cost just under £20,000 and was funded by Ayrshire LEADER and South Ayrshire Council. Funding is now secured for stage 2 as LEADER has provided 75% up to £100,000 and the Council the rest. Some local funding is required as a condition of the LEADER grant and we are in the process of raising this. Although this happened in our previous financial year, as I missed last year’s AGM I feel it may be worth recapping, especially as there were consequences in this financial year. Pupils and staff at all four local schools had a once in a lifetime experience when they were part of a world premiere of “The Boyhood of Burns” written by Dr John Cairney, the man who played Robert Burns for many years all over the world. The actor, raconteur, writer and Burns scholar later wrote: “The Maybole experience is still reverberating inside me, the memory of those young faces allied to those old themes is something that I shall long remember. “From my position as narrator at the side of the stage, I felt less of a performer and more of a conductor leading a team of young people towards a new insight into the Burns story, in which they were the new messengers carrying his words and sounds into another era. “It was wonderful to see what we've come to regard as the province of the grey-haired and venerable suddenly coming to life in the sparkling eyes and sweet voices of the young. After the St Andrew’s night concert, Mr Webster, Carrick Academy head teacher, said, “I have been teaching for almost 25 years in a number of different schools but I don't remember witnessing anything quite like that, in all that time. Torquil Macleod, Homecoming Scotland Programme Manager, said: “Congratulations to Carrick Academy and everyone involved with the St Andrew’s Night Homecoming Finale concert in Maybole. “It was fantastic; and a great reflection of a strong community working in partnership to produce an outstanding celebration that will last long in the memories of all those who attended. In addition, we were able to commission a beautiful marble bust of Robert Burns and plaques to provide a visual lasting legacy to mark Maybole’s unique place in the history of Scotland’s national poet. His mother Agnes Broun was living in the town when she met his father at a market fair held in Maybole High Street in 1756. They couple were married in a Maybole church by a local minister on 15th December, 1757 and Robert was born thirteen months later in Alloway. These events led to the start of our schools holding an event on 25th January 2010 and again on the same date this year. Last September, a limited edition book, charting the global celebration of Robert Burns’ 250th birthday, was presented to the four local schools in Maybole by Provost Winifred Sloan on behalf of the organisers of the 2009 Year of Homecoming events. Limited to just 1,000 copies worldwide, the book features five pages from the events and activities that marked the Maybole community’s own celebrations of the Bard’s birthday and iconic life. Provost Sloan said: “I am absolutely thrilled and very proud to see Maybole prominently featured on five full pages of this magnificent work. The community, schools and local organisations who contributed to the historic Burns celebrations last year, have now become part of the Burns legacy itself. There is also legacy funding for the Jean Falconer Award and the High Street regeneration, among other things. LEADER is a European funding programme with a budget of £4.5 million to distribute throughout Ayrshire. Peter Mason represents us on the Association of South Ayrshire Community Councils and that body nominated him to be a member of the Local Action Group LAG. In Maybole alone, grants have been awarded to Pathfinder, the Castle, the Pigeon Club and the Carrick Centre. So far, of their budget of £4.5 million, just over £2 million has been allocated and they have now been given the task of administering fishery grants as well as rural grants. After advertising for new members, another Maybole Community Councillor now sits as member of the LAG. Although Maybole was not identified as falling within the 15% most multiply deprived areas in Scotland (SIMD, 2009), the community experiences significant health inequalities. Male life expectancy is the lowest in South Ayrshire at 70.8 years, which is 10 years lower than the highest male life expectancy in South Ayrshire. This figure is an adjustment upwards from the figure originally given which sparked controversy. Smoking rates in the general adult population are higher in Maybole at 31% than in South Ayrshire (26.5%) and Scotland (27%). In the period 2006-2008, 34% of women smoked during their pregnancy compared to 25% in South Ayrshire and 20% in Scotland and only 19.5% of babies were exclusively breastfed compared to 26% in South Ayrshire and 27% in Scotland. There were 221 alcohol and 20 drug related hospital admissions from Maybole in the period 2004-2006, both of which are higher than the Scottish average. Maybole also experiences higher rates of income and employment deprivation than both South Ayrshire and Scottish populations. A greater proportion of the working age population claim Job Seekers Allowance than the Scottish average and there is a greater proportion of lone parents and those over 60 claiming benefits than in South Ayrshire and Scotland. Although the crime rate is significantly lower than in South Ayrshire and Scotland, the hospital patients’ rate for assault is significantly greater than the Scottish average. Although these figures paint a concerning picture of health and social inequalities in Maybole, it is recognised that the town has skills and assets which, if nurtured and developed, could result in a more positive approach to improving health and wellbeing in the area by creating a better balance between service delivery and community capacity building. In response to our concerns regarding low life expectancy in the area, NHS Ayrshire and Arran and South Ayrshire Council representatives met with us to explore the profile of the town in more detail and discuss what could be done differently to improve the overall wellbeing of the area though joint working between Community Planning Partner agencies and local people. It was agreed that community engagement work was required not only to shape and promote the services already operating in the area but also to identify what skills, knowledge and resources exist in the town which could be better nurtured and utilised to improve the health and wellbeing of the community. There was agreement that this should begin with an asset mapping exercise which would act not only as a way of gathering additional data and information about the community but also as a means of engaging those who are not actively participating in their local community and as a way of creating greater social connections amongst people who live in the town. This is an initiative drawn up in discussions with Ayrshire and Arran Health Board who have provided the data and are in favour of the application for funding. To analyse the results of the mapping and present these at a community conference. To agree priorities and develop a co-production action plan between services and the local community, drawing on strengths identified in asset mapping and in line with the vision for the area. NHS Ayrshire & Arran has contributed £2,000 for this project and £8,000 was awarded from SAC’s Community Planning Partnership. They have asked us to work together on this with the next project. As in previous years we worked closely with the Maybole Branch of the Royal British Legion Scotland in the Armistice Day, Remembrance Sunday and Holocaust Day services. Next month we will be involved in commemorating the branch’s 90th birthday celebrations at a special drumhead service at Culzean Castle on Sunday 19th June. Once again I must pay tribute to our web master Rich Pettit of Clearwater, Florida, USA who does a fantastic job with our web site. We also thank everyone who has contributed photographs, articles and memories to the web site. It is difficult to believe we have now had the site for almost 12 years. Rich has also agreed to take on the role of web master for the Bypass web site. Wind farms have been proposed for Knoweside and Dersalloch, although nothing has happened for years. Within the past few months however, Banks, the wind farm company for Knoweside, has been in contact, and have been back to SAC Planning Dept. for permission for this wind farm to go ahead. Planning sent the application back out to consultation and we are awaiting the outcome of their findings. If this wind farm gets the go ahead it will mean about £100,000 in community benefit in the first year. Members will be kept up to date on the progress of their application, and any further developments. Hopefully, the Dersalloch wind farm will start soon, as well. Once again, we presented these to well-deserving individuals who had been nominated by others in the community and we are delighted to acknowledge the contribution they have made to the quality of life in the town. On our behalf Provost Winifred Sloan presented scrolls to ten local people. As well as scrolls there were special awards presented to Billy Torbett and Jim McDermott for their service to Maybole Community Council. A scroll was also presented to Provost Sloan. We also thank our panel who had scrutinised the nominations. After another hard winter, the new gritting routes implemented by SAC’s Mike Newall and Kenny Dalrymple have been a great improvement to the town. We still have some problem areas that we are waiting for answers on and hopefully we will have satisfactory answers to these soon. Some of the salt bins that were placed have been well received with folks organising self-help groups whilst others have struggled to cope and this needs rethinking. No action has been considered yet as to whether we need to purchase machinery to self-grit as things were greatly improved on the previous year. With regard to potholes, it has been agreed with Kenny Dalrymple to wait till June/July before collating a list of priorities for the town as the council are still trying to catch up after the winter. However, dangerous potholes still need to be reported as necessary. This group would benefit from new members. Culzean Road where an island was used as a deterrent for traffic coming in as opposed to traffic going out of the town; shortage of pavement leading up to McAdam Way. Bob Baillie gave a presentation on the Energy Service covering our area. Proposals for the closure of Cairn Primary were followed up and there was liaison with parents from affected schools. SAC Scrutiny Panel did not accept recommendation and eventually the proposals were postponed till later in the year for fuller consultation on a 3-18 campus for Carrick Academy. We were consulted on SAC Parking Strategy and Cycling Improvements. Discussions were also held with SAC about unsafe headstones at Maybole cemetery and a meeting was arranged which was attended by local residents. The purpose of the meeting with the new Executive Director was to raise awareness of a range of issues and matters of concern that members of the Maybole Community Council, local Elected Members and members of the public wished to bring to the attention of the Council. It was felt that it was important that Lesley was apprised of these matters and topics discussed included the Old Co-op Building, Maybole High Street Regeneration, Maybole By Pass, Maybole Castle, Flag Pole at Greenside, Litter and Dog Fouling, Pathfinder, Cemetery, Winter Gritting, Christmas Lighting, and parking at the Railway Station. Afterwards we went on a walking tour of Maybole to see at close hand the nature of the issues of concern. Finally, I would like to offer the thanks of Maybole Community Council to everyone who helped us in any way over the past 12 months. Our politicians - Cathy Jamieson MSP, Sandra Osborne MP, Councillors Brian Connolly, Ann Galbraith, Sandra Goldie and Mairi Low. All South Ayrshire Council officials we have worked so closely with this year, all Town Hall staff for their help at our meetings and our public events, and our Link Officer Ronnie Sinclair. Local police, especially Sgt Hamilton, for all their assistance and attendance at our monthly meetings. I feel these are essential in working together for the good of our town. Maybole Community Association, Maybole Historical Society, and Maybole branch of the Royal British Legion Scotland. Ayrshire LEADER staff, Sarah Baird and Marion Young, for all their assistance with projects. All our funders especially Ayrshire LEADER, Carrick Futures, and South Ayrshire Council. Last but not least, all of our community councillors, who have all played a role in the activities of the past year; with particular thanks to our office bearers for the work they put in. Gillian Durrant has intimated her resignation from not just her post as Treasurer but also from the community council. I would like to place on record our grateful thanks for all she has done in her time as a community councillor and particularly as Treasurer in a period when so much was going on over a number of years. For many years Maybole Community Council has been considered to be one of the most active in South Ayrshire. This report, hopefully, has outlined some of that ongoing activity. Our main purpose is to ascertain, co-ordinate and express public opinion. I feel that we have certainly done that in what was a very busy year for us. This would not have been possible without so much input from members, and the co-operation of all who work with us. Peter Mason has been elected as the new chairman of Maybole Community Council taking over from David Kiltie. The election was held at the AGM which was chaired by Margaret Burns representing South Ayrshire Council as this was the first of a three year term of office for the recently elected community councillors. Other office bearers are Alex Kelly, vice chair; Anne walker, secretary; and Gillian Durrant, treasurer. Ms Burns reported that 12 community councillors had been nominated for 15 vacancies so there had been no need for an election. With three eats not filled former community councillor and South Ayrshire councillor Alan Murray and former community councillor Wendy McClure were co-opted to fill two of the positions. Anyone else interested in being considered to fill the last remaining vacancy is asked to contact the secretary. In his annual report retiring chairman David Kiltie commented on what had been a very busy year. He said, “Other groups we were represented on included Maybole Resource Centre’s Advisory Committee, Maybole Town Twinning Association, Carrick Crime Prevention Panel, Carrick Community Transport Group, the local Sports Association, Maybole Community Association, Maybole Sick Nursing Association, Maybole Carnegie 21st Century Hall Committee, the Association of South Ayrshire Community Councils, Carrick Community Council Forum, and the new Carrick Centre management committee. He went on to recall an eventful year for the Bypass Committee which organised several successful demonstrations; attracted a lot of support from the local MP and several MSPs; and lobbied the Transport Minister, Tavish Scott. In June, a delegation had travelled to Holyrood to meet Cathy Jamieson MSP and to lobby the Transport Minister who presented them with a copy of the STAG 1 report. Carrick Academy’s S4 XL Club pupils had also visited the Scottish Parliament to press the case for a Maybole bypass. The community council hosted a special event for them to recognise their achievement in producing a DVD highlighting the need for a bypass for the town. In addition there had been several problems with lights in Maybole and concerns about the speed of traffic through the town. The proposed closure if Accident & Emergency facilities at Ayr Hospital were another concern for community councillors and a delegation met with Health Minister Andy Kerr at Holyrood. Mr Kiltie felt that the recent change in government at Holyrood should be the impetus to lobby for the closure proposals to be reversed. He continued his report pointing out, “2007 is the 250th anniversary of the marriage of Robert Burns’ parents in Maybole and plans for a year long festival have been awarded a grant of £46,800 by the Heritage Lottery Fund. A grant of £24,800 has been awarded by the Heritage Lottery Young Roots fund to allow local young people to research the history of Carrick Academy’s badge, which has associations with the UK royal family and the former royal family of France, and other details of Maybole rich history. Already pupils from Carrick Academy, Queen Margaret Academy and Maybole Youth Club have signed up to take part in the project which will be assisted by local historians. The young people will be involved in researching and designing period costumes, dramatising the town’s history and recoding this on a DVD. As in previous years the community council had worked closely with the Maybole Branch of the Royal British Legion Scotland in the Armistice Day, Remembrance Sunday and Holocaust Day services. Next month they will be involved in commemorating two local VCs at a special drumhead service at the Greenside on Sunday 24th June at 1.45pm. Windfarms, at Knoweside and Dersalloch, had become an issue locally and Maybole Community Council had been very involved in discussions with developers. In September, Maybole had marked the 150th anniversary of the railway line coming to Maybole. In a small start to improving the station environment, the “MAYBOLE” sign opposite the platform was once again revealed and flower tubs were installed. A longer term project is being planned which will allow local school children to design and create a mosaic on the embankment on the far side of the station. Permission for this work on the embankment, however, has been refused. South Ayrshire Council has agreed part funding for this project. Cathy Jamieson MSP had visited Maybole Castle to hear about new proposals for the 450 year old building and was accompanied by Patricia Ferguson MSP who was the Scottish Minister for Tourism, Culture and Sport. Proposed plans for the possibility of the Castle being taken over by a group of local organisations and potential activities were outlined as well as the amount of finance required if the project had any chance of succeeding. “One very sad event,” said Mr Kiltie, “was the murder of Amjid Ismail of Kirkland Stores. “The whole town was hit hard by this and a number of us attended his funeral in Glasgow. We were also represented at a memorial service for Amjid on Saturday December 9 in the Baptist Church and afterwards in the town hall. Our sympathies go to the family for the unfortunate and untimely death of their son and brother. He concluded by offering the thanks of Maybole Community Council to everyone who helped in any way over the past 12 months. In particular he mentioned Cathy Jamieson MSP, Sandra Osborne MP, Councillors Alan Murray and Brian Connolly, staff of South Ayrshire Council, especially all Town Hall Staff for their help at meetings and public events, local police, especially Sgt Gilmour for all his assistance, Maybole Community Association, Maybole Historical Society, and Maybole branch of the Royal British Legion Scotland. He also paid tribute to Maybole’s web master Rich Pettit of Clearwater, Florida, USA, and thanked everyone who had contributed photographs, articles and memories to the web site. It was a case of “as you were” at Maybole Community Council’s 2006 AGM recently when the office bearers were all re-elected. This means David Kiltie will continue as chairman for the next year with Alex Kelly as vice chairman, Anne Walker as secretary and Gillian Durrant as treasurer. In his report for the year April 2005 to March 2006, Mr Kiltie pointed out that his report covers the second year of the community council’s three year term of office from 2004 - 2007. He continued, “Office bearers elected for 2005-06 were David Kiltie, (chairman); Alex Kelly, (vice-chairman); Anne Walker, (secretary); and Gillian Durrant (treasurer). Brian Connolly was successful in last year’s by-election. Unfortunately, Moira Auld tendered her resignation last year and we would like to thank her for her time with us. This meant that we were back to having two vacancies on the Council for the East Ward. These positions were filled by Karen Simpson and Wendy McClure. Alan Martin was co-opted from Maybole Business Association. Brian Connolly was also elected to South Ayrshire Council in a by-election in February this year so had to resign. We currently have only one main committee - our General Purposes Committee. This committee is meant to be the driving force of the community council but there seems to be problems with members attending and for the last year of our term we really should address this. A Bypass sub-committee was created and it works with others in the town to draw attention to the lack of response from the Scottish Executive. There have been several successful demonstrations in recent months. Maybole Resource Centre’s Advisory Committee, Maybole Town Twinning Association, Carrick Crime Prevention Panel, Carrick Community Transport Group, the local Sports Association, the Community Association, Maybole Sick Nursing Association, Maybole Carnegie 21st Century Halls Committee and the new Association of South Ayrshire Community Councils. the Town Hall followed by a parade to the war memorial. This was very successful and will continue this year. We were also involved in last year’s celebrations to mark the 60th anniversary of the end of World War II. £10,000 was awarded by the Home Front Recall Fund to ourselves in partnership with Maybole Community Association, Maybole Historical Society and the Maybole branch of the Royal British Legion Scotland. The Home Front Recall Fund was a joint Lottery grants programme supported by the Big Lottery Fund and Heritage Lottery Fund and the cheque was presented by Councillor Alan Murray at Maybole Castle. Davie Hunter, chairman of Maybole branch of the Royal British Legion Scotland – the oldest branch in the country – said he was delighted the funds had been awarded, especially as this would probably be the last official celebration of the end of the war. The £10,000 was to go towards meeting the costs of a drumhead service on Sunday 21st August and a reception afterwards; two concerts later in the year and the publication of a commemorative book containing memories of Maybole during the war years from 1939-45. The Big Lottery Fund was delighted to support the WWII commemorations in Maybole, and particularly pleased to see that people of all ages and from all backgrounds would be taking part. For young people in particular it was felt these events would help them to gain a greater understanding of how their communities were affected during the war. All veterans and groups who normally take part in the annual Remembrance services were invited to parade with their colours on 21st August. A superb DVD has been produced of this day. Also, in September, there was a very special day at Culzean with displays, a big party and other attractions including WWII military vehicles, equipment and personnel in uniform. Next month on Gala Day, 17th June, we are helping to celebrate three events in one:-H.M The Queen's 80th Birthday; National Veteran's Day and our local RBLS branch’s 85th Anniversary. On 18th June 1921 a conference was held by Field Marshal Lord Haig in Edinburgh's Usher Hall at which over 100 ex-service associations met and agreed to come together under the title The British Legion. These associations then had to go back to their members to get their agreement. Immediately after that meeting in Edinburgh Field Marshal Lord Haig was at Culzean on a visit to the Lord Lieutenant of Ayrshire, The Marquess of Ailsa, and from that visit a communication was sent to Mr Hugh Fairlie, Provost of Maybole, who in turn instructed Mr John W Best MM, who was the only remaining member of the Soldiers and Sailors Society left in Maybole, to arrange a public meeting in Maybole Coffee House on 28th June 1921. The meeting was chaired by Captain A Ramsay MC and a Maybole Branch was formed under the title British Legion and became the first Branch to be formed in the United Kingdom. Our web site goes from strength to strength and once again I must pay tribute to our web master Rich Pettit of Clearwater, Florida, USA. We also thank everyone who has contributed photographs, articles and memories to what has been described by many as a wonderful web site. Our web site was commended in the Calor Scottish Community of the Year Awards 2005. Once again we ran this in conjunction with our local schools and we thank them and our judges for their continued support. This year’s presentation will be held on Tuesday 13th June 2006. Following the tragic events in South East Asia at Christmas 2004, a number of people in the town felt we should have our own town appeal and we agreed to open an account to collate all the funds raised. This closed at Gala Day last June. A total of £6,025 was raised - over a million rupees - for two projects in Sri Lanka. This was a tremendous effort by the town. As far as we could determine, earlier in the year over £8,000 had already been donated by local people and businesses. In 1999 and 2000 we awarded “Scrolls of Appreciation” to a total of 46 people and last year we again invited nominations from the public of names of those who deserved to be recognised for their achievements in bringing recognition to Maybole or for service to the town. Fourteen awards were made last December. Having the High Street Cross found and placed back in the road. Our thanks to Amey staff for their assistance. The Maybole Community News was under threat but the publishers of the Carrick Gazette stepped in to keep this going. Windfarms, at Knoweside and Dersalloch, came to the fore. All weather pitch at Carrick Academy. A new railway bridge was very controversial. The proposed closure of the Accident & Emergency Department at Ayr Hospital was another very controversial topic. There was a public meeting held in the Town Hall on Thursday 29th September 2005. A petition against the closure was organised by the Association of South Ayrshire Community Councils and this was handed in to Boswell House on Friday 4th November 2005 with the total signatures over 40,000. The Christmas light switch-on was organised for Friday 25th November, with a family disco afterwards. Our thanks to all who helped with this. In December we organised a very special event involving the Lord Lieutenant who was very impressed with the day. Thanks to everyone involved in that. One of our members, Pearl Barton, was named as citizen of the year by the Carrick Gazette. Congratulations to Pearl. We heard about a booklet called “Common Good Land in Scotland” and decided to buy a copy. This could be helpful to us as we heard that there were threats to Maybole Golf Course. Recently, the author of the booklet was here in the Town Hall speaking on the topic and many who attended found his talk very interesting. Councillor Murray brought to our attention that there has been a consultant’s report, which was suggesting that Maybole golf course may be abandoned at the saving of about £40,000 to the council. We have been working on producing a new guide book for the town and Awards for All have granted almost £5,000 to fund this. The last town guide was produced around 1970. We have begun to recall the 21st Century Halls Committee and made contact with Maybole Community Association to discuss possible changes in the constitution. This would enable us to free up the funds in the bank. We have also been involved in various local problems including the situation with the local Royal Mail service. 2006 is the 250th anniversary of the birth of John Loudon McAdam. Although born in Ayr, in 1756, McAdam was educated at Mr Doig’s school in Maybole and he was a frequent visitor to the district until his death in Moffat in 1836. From 1785 to 1798 he lived at Sauchrie, a few miles out of the town, and he first carried out his experiments in 'Macadamising" in Maybole. 2006 is also the 250th anniversary of the first meeting of the parents of Robert Burns at a market in Maybole. All the Burns’ trails promoted nationally ignore completely the life of Burns’ parents prior to their move to Alloway shortly before he was born. Also omitted is the town of Maybole, possibly the most important place in the story because, if it were not for the market there, Burns’ parents might never have met and there would have been no story at all! It is fairly safe to say that, had it not been for Maybole and the Fair in the High Street where William Burnes met and fell for Agnes Brown, our national Bard might never have existed. The Burns Trail rightfully begins in Maybole - at the cemetery gate where there was a church in which the Bard's parents were married on December 15, 1757. To celebrate the 250th Anniversary of the marriage of William Burnes and Agnes Brown several we are working with the Historical Society and the Community Association to put a bid to the Lottery Heritage Fund to allow the town to mark the occasion next year. 1. Siting of a perspex covered plinth in the small piece of garden in front of the Factor’s Office at Maybole Castle containing the bust of Robert Burns originally situated on the top of the butcher’s shop diagonally opposite. 2. Special Day with extra events at the Greenside such as a market with local suppliers in period costume – market from 09.30 – 12.30. 3 Special competition for shop windows in a 1757 theme with additional money sought for period costumes and decoration for each shop in the High Street. 4 In addition to the normal Gala King and Queen etc there would be a William Burnes and an Agnes Brown; sponsorship of floats and walking groups which will all have a period theme; the parade to start normally at Carrick Academy but there would be a stop at the Castle where William Burnes meets Agnes Brown and escorts her to the Gala festivities in the Glebe Park. 5 A large Fair at the Glebe Park with special displays and stallholders in period costume. 7. A series of events in the Castle and Town Hall around about 17th December 2007 themed on Burns’ poetry and music to celebrate the anniversary of the wedding. A large depiction of the marriage could be projected on to the Castle. 8 Possible production of DVD of all events. One of the main links with the town’s history is Maybole Castle. The community of Maybole is being offered ownership of Maybole Castle by the trustees of Cassillis Estate. The estate trustees, however, are only willing to pass the castle to a community partnership to manage. The current proposal is that a partnership be formed between Maybole Community Council, Maybole Historical Society, Maybole Community Association, Maybole Business Association, and May-Tag Ltd. Work is currently being done to establish the Estate’s offer and what would be required to set the partnership proposed. May-Tag Ltd have secured an offer from Historic Scotland for £450,000. towards restoration of the Castle roof. The proposal is that a community company be formed to own the Castle and May-tag would operate the facilities incorporated in the Castle. To further this May-tag are currently bidding for a development person to take this innovative project forward, together with social Enterprises in partnership with Cassillis estate. This year is the 25th anniversary of the very first visit to Crosne and Alan Murray and I will be there for the Pentecost weekend at the same time as pupils from Carrick Academy. Renovation of the old spout at Coral Glen. Construction of a replica of the Castle Pump. Construction of replica boots at the town entrances on the A77. Digitisation of Community Council Minutes. Memorabilia with the Community Council coat of arms. Historical town sign at the Greenside for tourists. Our politicians - Cathy Jamieson MSP, Sandra Osborne MP, Councillor Alan Murray and especially Councillor Andy Hill who was Leader of South Ayrshire Council until he resigned at the end of last year. Our thanks also to Councillor Brian Connolly for his help in the short time he has been in office. Staff of South Ayrshire Council, especially all Town Hall Staff, for their help at our meetings and our public events. Local police, especially Sgt Gilmour for all his assistance. Special thanks this year as we have been taking action about a bypass. Maybole Community Association, Maybole Historical Society, Maybole branch of the Royal British Legion Scotland. I would also like to thank Peter Mason for all his past help. During this past year, because of work commitments, he did not seek re-election to the position of vice-chair of the community council, and stood down as chair of the GP committee. Subsequently, he also took ill although he is taking a keen interest from home. For many years Maybole Community Council has been considered to be one of the most active in South Ayrshire. This would not have been possible without so much input from members, and co-operation from all who work with us. At its June meeting Maybole Community Council elected it office bearers for the second year of its current three year term of office. Re-elected were David Kiltie as chairman, Anne Walker as secretary and Gillian Durrant as Treasurer. Alex Kelly was elected vice-chairman replacing Peter Mason who had informed members that was not seeking re-election. The election of office bearers had been postponed from the annual general meeting held a week or so earlier. Also agreed at the meeting was the co-option of Karen Simpson to one of the two vacancies on the community council. There is still a vacant seat in the East ward, covering the part of the town east of the railway line, and anyone interested in filling the vacancy is asked to contact Anne Walker, 15 Mochrum Avenue, Maybole. At the AGM the chairman had presented his report covering the first year of their term of office from 2004 - 2007. “We had two vacancies to fill in 2004,” said Mr Kiltie, “and co-opted Brian Connolly, with the other position unfilled. Brian was successful in the 2005 by-election. Unfortunately, Moira Auld has tendered her resignation and we would like to thank her for her time with us. This means that we are back to having two vacancies on the Council for the East Ward. He had gone on to speak about May-Tag Ltd which had been having quite a tough time and had moved out of the Castle into the new Resource Centre. In August last year the company changed by forming a close relationship with Momentum, one of Scotland's leading providers of rehabilitation and training services. A new Board of May-Tag was set up comprising of five directors, three nominated by Momentum and two, David Kiltie and Ellen Hawkes from May-Tag Ltd, with a sub-group of local people running the Resource Centre “management” as an Advisory Group. May-Tag’s last Board formed the initial committee. May-Tag had been incorporated as a company on 10th August, 1988 with its registered office in a former factory in Society Street. It had been in existence for exactly sixteen years at the time of the change. Its income had totalled £4.5 million and exceeded expenditure over the same period by about £25,000. May-Tag Ltd emerged from Maybole Community Council’s Manpower Committee and became known as its training wing. Over £500,000 in government funding had been obtained before May-Tag was formed. Mr Kiltie had continued, “We became a registered charity and moved to establish our headquarters in Maybole's over 400 year old Castle leased from the Marquess of Ailsa and had two other local bases. We were proud to have been entrusted by the Marquess with his castle.” One project, called Signposts, was taken over and mainstreamed by South Ayrshire Council. An independent evaluation by Strathclyde University said it was an excellent value for money project. May-Tag was also instrumental in creating the local Charity Shop with its unique method of working. The company was successful in achieving a three year New Futures Funding contract worth around £170,000 and opened the MAP (Maybole Access Point) project at 76 High Street, to try to identify and support people to face the obstacles preventing them becoming employable. This has currently been given an extension to September. “Over the year,” Mr Kiltie added, “we obtained accreditation by Learndirect Scotland, SQMS, SQA, the British Computer Centre as an ECDL test centre, and Investors in People. In 1998 we won Scottish Enterprise Ayrshire’s Business in the Community Award. We were the main driving force in forming Maybole Community Development group which attracted over £160,000 over three years and over 50 local groups took part. He said that May-Tag had been a partner with South Ayrshire Council in many projects, eg literacy and numeracy projects which attracted over £33,00 last year and more in the past. Other funding from them included £3,461 for a Visually Impaired project, and almost £7,000 for a horticulture project. This was the patio garden which won bronze at Gardening Scotland and silver at Ayr Flower Show last August. “Last August,” he continued, “May-Tag entered a new era and I would like to thank the many people who have helped us over the years. Our three managers since 1988 – Andy Crawford, Peter Clark and Ellen Hawkes. All of the staff who worked with us in that time. All the politicians who have supported us through thick and thin - George Foulkes, Cathy Jamieson, Alan Murray and especially Andy Hill. All the funders who thought we were worth supporting . The last board who all put in a tremendous amount of work over the past few years – it had not been easy. All those who served as directors, no matter how long their term of office, their contributions have been highly valued. Thanks also to all community councillors who have supported us down through the years. You can all be proud of what we achieved.” He went on to report on Maybole Resource Centre saying, “When MCDG closed May-Tag funded a pilot scheme to assess the feasibility of a resource centre in the High Street. Councillor Andy Hill arranged a grant from South Ayrshire Council to help fund this. Last year a project was approved by the Big Lottery to operate a Resource Centre for the town and the grant for this exceeds £188,000. The Centre’s official opening was on Thursday 8 July, 2004. The project will develop and co-ordinate the capacity of the voluntary sector in the town. It will provide a range of training opportunities for volunteers working in community organisations, establish a meeting place and office facilities for groups to deliver their activities, and develop networks between voluntary organisations to enable co-ordination of activity. As in previous years we worked closely with the Maybole Branch of the Royal British Legion Scotland playing our usual enabling role in the Armistice Day and Remembrance Day Services. We will also be involved in this year’s celebrations to mark the 60th anniversary of the end of the war. Our web site goes from strength to strength. April 2005 saw total hits of 867,349 for the month. The time spent online at our web site in the 30 day month was 3,574 hours - that’s the equivalent of approximately 150 days. Two years ago the web site achieved over 400,000 page hits a month so you can see how popular a resource this has become. Last July there were 1,416,744 hits and 2,161 hours spent. In August there was an all-time record of 1,766,574 hits in 2542 hours. We have contributors from all over the world and several people are now finding their way here to trace their family roots. Dave Killicoat, vice chairman of Maybole Historical Society, has been a tremendous source of help with this. Once again I must pay tribute to our web master Rich Pettit of Clearwater, Florida, USA, who traces his roots to Carrick’s capital. We also thank everyone who has contributed photographs, articles and memories to what has been described by many as a wonderful web site. Once again we ran this in conjunction with our local schools and we thank them and our judges for their continued support. We gave a grant of £50 to help fund a community project for a police speed gun. Following the tragic events in South East Asia last Christmas, a number of people in the town felt we should have our own town appeal and we agreed to open an account to collate all the funds raised. This will close at Gala Day in June. In 1999 and 2000 we awarded “Scrolls of Appreciation” to a total of 46 people and this year we are again inviting nominations from the public of names of those who deserve to be recognised for their achievements in bringing recognition to Maybole or for service to the town. Our politicians - George Foulkes, Cathy Jamieson, Alan Murray and Andy Hill, Leader of South Ayrshire Council. Staff of South Ayrshire Council, especially all Town Hall Staff, for their help at our meetings and our public events. Local police especially Sgt Gilmour for all his assistance. I would also like to thank the Ayrshire Post for producing Maybole Community News over the past few years. Unfortunately, this has now been discontinued unless we can find the funds to produce it. This year we have perhaps not been quite so active, due in part to personal circumstances of some of our office bearers. These circumstances have included family bereavements and work responsibilities among other reasons. Our vice chairman Peter Mason has intimated that due to work commitments he will not be standing as a candidate for this position this year and also that he will be resigning as chairman of our General Purposes Committee. He will be continuing as a community councillor, thankfully. I would like to pay tribute to Peter for all his work over the past few years. Maybole Community Council Annual Report: Last week Maybole Community Council held its AGM for the final year of its three year term of office from 2001 – 2004. Office bearers who had been elected for the year from April 2003 – March 4 were David Kiltie, (chairman); Peter Mason (vice-chairman); Anne Walker, (secretary); and Jim McDermott, (treasurer). In his report Mr Kiltie said that the community council had been represented on the Town Twinning Association, Maybole Community Development Group, Carrick Crime Prevention Panel, Carrick Community Transport Group, the local Sports Association, the Community Association, Maybole Sick Nursing Association, Maybole Carnegie 21st Century Halls Committee and the new Association of South Ayrshire Community Councils. That Association was formed to allow community councils to share information, experience and examples of good practice; provide mutual support on matters of common interest; raise standards of practice among Community Councils; become involved in discussions about policy development and other strategic matters with public bodies serving the South Ayrshire area; and provide training and related opportunities for community councillors. “Following the recent community council elections,” he said, “a number of key individuals who were involved in the Association are now no longer community councillors. At present, there seems to be a lack of drive to take the Association forward. Last week I met with the chairman of Prestwick South Community Councils to discuss this situation. We feel there should be a further attempt to see if there is interest in the Association and have arranged a meeting which will be held on Monday 21st June here in the Town Hall. The purpose of this meeting will be to finally confirm if Community Councils wish to have an Association.” He then thanked to all community councillors who put in extra work as part of all these groups. May-Tag Ltd is seen as the “training wing” of the community council and several members serve on the board of directors of the company which is a registered charity. “May-Tag Ltd has now moved out of Maybole Castle into the new Resource Centre,” he added, “which should put it in a good position to provide training to more people.” Mr Kiltie went on to describe the background to the new resource centre. “Maybole Community Development Group finished its project at the end of May 2003,” he said, “and the company has now been wound up. Maybole Community Council played a lead role in the group and all members are grateful to the National Lottery Charities Board, Scotland for the grant of £176,377 over the three years of the project’s life. An application to the Community Fund to enlarge the project into North Carrick was unfortunately turned down last May. When MCDG closed May-Tag started a pilot scheme to assess the feasibility of a resource centre in the High Street and Councillor Andy Hill arranged a grant to help fund this. We now have a project approved by the Community Fund to operate a Resource Centre for the town and the grant for this exceeds £188,000. The project will develop and co-ordinate the capacity of the voluntary sector in the town. It will provide a range of training opportunities for volunteers working in community organisations, establish a meeting place and office facilities for groups to deliver their activities and develop networks between voluntary organisations to enable co-ordination of activity. There have also been discussions with the local Fairshare Panel with regard to employing someone who would work in the local villages.” On other involvement he commented, “As in previous years we worked closely with the Maybole Branch of the Royal British Legion Scotland playing our usual enabling role in the Armistice Day and Remembrance Day Services. During the year the community council gave grants of £50 each to Primary schools in the Carrick Academy cluster for their tapestry project; St Cuthbert’s Primary School, one of only five schools chosen to take part in a national project to adopt a historical building; and David Donald, a local thirteen-year-old who is off to Thailand in July to take part in the World Amateur Muay Thai Championships. Finally, Mr Kiltie comprehensively thanked everyone who had helped the council in any way over the past 12 months. At last week's AGM of Maybole Community Council, three main office bearers were re-elected. David Kiltie remains chairman, Peter Mason vice-chairman and Anne Walker continues as secretary. The position of treasurer will be filled at the next monthly meeting. Community Councils in South Ayrshire are elected for a three year term and this coming year is the final one of the current term. In his annual report for 2002/03 David Kiltie commented first of all on last year's celebrations to mark the community council's 25th anniversary. Two concerts had been held in a "Musical Showcase" to mark the anniversary and the Queen’s Golden Jubilee. With around 200 people on stage on Friday evening and 160 on Saturday evening," he said, "local musical talent certainly provided their audiences with some brilliant entertainment. " He continued, "The entertainment was a real extravaganza of a wide range of musical tastes with something to suit everyone. There was also lots of humour from old style plays to the hilarious antics of some of the young performers who had the audience in fits of laughter. Saturday night’s finale, which will long be remembered by those who were there, combined Ayrshire Fiddle Orchestra and Maybole Pipe Band in "Flower of Scotland" and "Amazing Grace" We had marvellous entertainment from very talented local people of all ages and all of them plus their teachers and leaders deserve our grateful thanks. We also thank everyone who helped in any way, those who had helped backstage, front of house, committee members and especially Scott Crawford. I would personally like to record once again my thanks for the gift given to me to mark 25 years as a member of the community council." Maybole Community Council is represented on various local organisations including The Town Twinning Association, Maybole Community Development Group, Carrick Crime Prevention Panel, Carrick Community Transport Group, the local Sports Association, the Community Association, Maybole Sick Nursing Association, Maybole Carnegie 21st Century Halls Committee and the new Association of South Ayrshire Community Councils. He commented on some activities with these groups and also on the success of the town's web site which had been highly commended in a national competition with a prize of £250 and a framed certificate presented by Magnus Magnusson. Mr Kiltie paid tribute to web master Rich Pettit of Clearwater, Florida, USA, who traces his roots to Carrick’s capital and everyone who has contributed photographs, articles and memories to what has been described by many as a wonderful web site. At the presentation ceremony in Edinburgh Calor Scotland communications manager Gavin Tomlinson had enthused: "The richness of the content on the Maybole site is exceptional." Since then it has become even bigger achieving over 400,000 page hits a month for several months. "Finally," said Mr Kiltie, " I would like to offer the thanks of Maybole Community Council to everyone who helped us in any way over the past 12 months. Firstly, our politicians - George Foulkes, Cathy Jamieson, Alan Murray and especially Andy Hill, Leader of South Ayrshire Council. We congratulate those who were successful in the recent elections and include John McDowall who won in Girvan. He is a former member of this Community Council. Special thanks, too, go to the staff of South Ayrshire Council, for their co-operation and assistance. Secondly, all Town Hall Staff, for their help at our meetings and our public events. There has been a certain amount of sadness too as we lost former members William Grant, Nan Bennett (Carmichael) and Robert Allanach. A great stalwart of the twinning and our local pipe band Jim Sym also died. Jim was a recipient of one of our special medallions. Last but not least, community councillors, who have all played a role in the activities of the past year; with particular thanks to our office bearers for the work they put in. Maybole Community Council must be one of the most active in South Ayrshire but this would not be possible without so much input from members, and co-operation from all who work with us.